When you create a cover letter, the body of the letter is the most difficult part to write. Everything else is a matter of following standard rules for writing formal business letters. State what job you are seeking at the company. State why else the employer should hire you. This paragraph is optional. If you want to describe a lot of reasons why the employer should hire you, it is better to break those reasons up into two smaller, easier to read paragraphs. State how and when you or the employer will follow up. This is paragraph three if you only wrote one "why" paragraph. Here are more details about how to create a cover letter using the three step formula. At this point, we are not going to worry about formatting the letter with dates, addresses, salutations, etc. Writing the body of the letter is the most challenging task, and it requires your full attention. Worrying about formatting the letter will just distract you from working out the content, so focus on writing the body of the letter first, and then we'll get into how to create a cover letter than is formatted correctly. What job are you applying to? In the first paragraph of your cover letter, you'll simply state what job you are seeking within the company. It is important to be specific. Avoid stating that you will do any job available in the company; it will make you look like you don't have specific skills or specific career goals. Even if you are responding to a job ad, you need to say what job you are applying to. Some clients ask why they need to specify the job in a cover letter when the job was advertised. They say, "Doesn't the employer already know which job I'm applying to? If the job was advertised, the employer should know why people are sending in cover letters and resumes." Keep in mind, though, the company might have more than one position open, or the person sorting the correspondence might not be the person who is reviewing resumes. You need to make the purpose of your letter clear so it easy to ensure the correct person gets your cover letter. If you learned about the job lead through a business or personal contact, mention the person's name in the first paragraph of your cover letter. "My colleague, Frank Johnson, mentioned that you are currently hiring a laboratory technician and suggested I submit my resume." One caveat: Do be sure to get your contact's permission before you mention their name in your letter. Occasionally you might get a job lead that is highly confidential, and your contact may not want the employer to know who passed along the information. This paragraph is usually the most difficult to write when you create a cover letter, but it is also the most important paragraph. Here's where you will outline all of the reasons why an employer should hire you. If you have a job ad, review the skills and experience the employer asked for in the ad. Use this paragraph to demonstrate you have the skills and experience the employer is seeking. Notice I emphasized the word demonstrate. A couple of brief but impressive examples will make a much better impression than a list of skills and job duties. "I am trustworthy, detail oriented, mathematically inclined and able to negotiate effectively." This sentence demonstrates that you have all of the skills mentioned above. "In my current role as a case manager, I successfully develop, negotiate and manage training plans with budgets of up to a half million dollars." To create a cover letter that impresses employers, don't just say you have a skill; prove it! If you don't have a job ad, you'll need to think more carefully about this paragraph. Ask yourself what skills and experience are most important to an employer hiring for this job. They might not be your favorite skills or the skills you use every day. You need to highlight the things that are most important to the employer. Doing some good company research will make this paragraph easier to write. If you have a good understanding of the type of work a company does, the customers or clients they serve and their company culture and values, (often found in the mission statement on their website) you'll be able to address some of those issues in your cover letter and really target the employer's needs. In this paragraph, do not repeat information that is on your resume. You can use your cover letter to expand on a point that you touched on briefly in your resume. 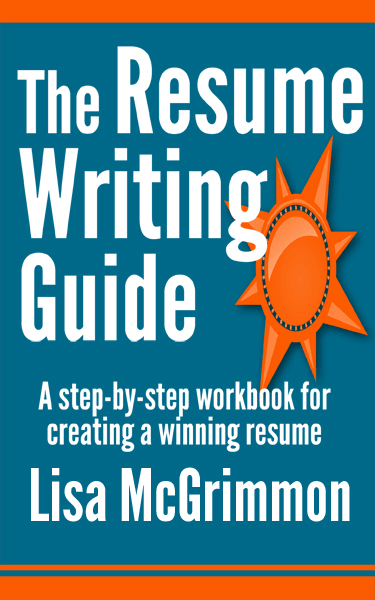 Or you can use it to provide an example or two that can't easily be described within the confined structure of a resume. Do Bullet Points Belong on a Cover Letter? While it's true that bulleted points make text easier to read at a glance, and you only have a few seconds to catch an employer's attention, I'm not a big fan of bullet points in cover letters. Your resume is already full of bullet points. If something can be explained well in a bullet point, it should probably go on your resume, not your cover letter. The cover letter should be used to describe things more fully, and in a way that doesn't fit well within the structural confines and bulleted lists that are on your resume. I won't say never use bulleted lists when you create a cover letter. Occasionally they are effective. But, most of the time, the items that work well in a bulleted list are better suited to your resume. Why else should the employer hire you? The "why else" paragraph is optional. If your "why" paragraph is getting quite long, it's best to break it up into two shorter, easier to read paragraphs. Use the same guidelines from the "why" paragraph to write the "why else" paragraph. How will you contact the employer or how can the employer contact you? This final paragraph sets the stage for further contact with the employer. Let's deal with the first situation, the one where you can call the employer. "Thank you for taking the time to review my resume and cover letter. I will contact you within the next seven days to confirm the receipt of my resume and to discuss how my skills and experience would contribute to the success of the customer service department at ABC Company." Telling the employer you will call him or her gives you some power back in the job search process. You don't have to sit around waiting for the phone to ring. You can call the employer! Remember: If you say you're going to call within a specific time frame, make sure you do call, or the employer might think you don't follow through on things you say you will do, and that's not a good impression to make on an employer. If you don't have a phone number, or if you have been asked not to call, then in this last paragraph, you will thank the employer for reviewing your resume and invite the employer to call you. "Thank you for taking the time to review my resume and cover letter. I look forward to meeting with you at your earliest convenience to discuss how I can contribute to the customer service department at ABC Company. I can be contacted at 000 000-0000." Important: If a job ad says, "No phone calls please." or, "Only those selected for an interview will be contacted." the employer does not want to receive phone calls from job seekers. If an employer asks you not to call, do not call. If you call when an employer has asked you not to, you are demonstrating to the employer that you can't follow simple instructions, and many employers will toss your resume in the garbage if you call when you were clearly asked not to call. That is the simple, 3 stage formula to help you create a cover letter that makes a great impression. Paragraph 1 - What job are you applying to? Paragraph 2 - Why should the employer hire you? Paragraph 3 (optional) - Why else should the employer hire you? Paragraph 4 (or 3) - How will follow up happen? If you work with this formula, you'll have a structure and a jumping off point. However, you will still have to devote some good, concentrated thought in order to write each paragraph. You won't be able to create a cover letter that's a masterpiece. Good writing requires a lot of rewriting. With this formula, staring at your blank screen to get those first few sentences written won't feel so daunting because you will already know the type of information you need to include in each paragraph. Once you've written the body of your cover letter, you are ready to learn how to structure your letter to create a cover letter in the correct style of a formal business letter.